I retired from Boeing Helicopter Plant in Mesa Arizona as Product Data Management Specialist for the AH-64 Apache helicopter. I became interested in photography in 1968 while stationed in Germany. I completed black and white, and color photography classes at Valley City State University in ND. 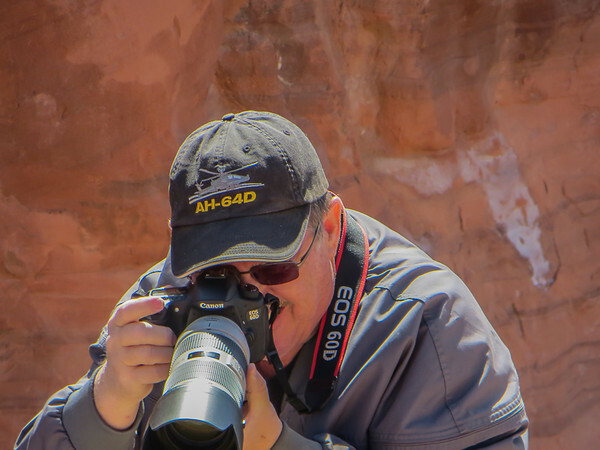 After 30 years with Nikon SLR I changed to Canon DSLR. I post process my photographs using Light Room. I tend to photograph everything that catches my eye – from Aircraft, Birds, Bugs, Cars, Wild Horses, Landscape, and multi state Travel. My web site allows you the opportunity to review images on line and purchase high quality photographs and other photographic merchandise using Pay Pal or credit card. The product will be delivered to any location you request. Thank You! I am looking forward to becoming your photographer!